May the beauty of pink carnations bloom forever | #Hope lives! The Queen is about to sign into law; a bill allowing other queens to live in holy matrimony in her realm, in a historic bill that passed the House of Lords. Humor aside it is a proud moment for equality; and Lord Alli the Labor peer thanking the house, where he fought for 15 years for this day said, “”You have given me dignity where there was sometimes fear. You have given me hope where there was often darkness and you have given me equality where there was sometimes prejudice.” In a few decades this war between church and state; will also pass onto the history books, and the next generations will wonder what all this fuss was about. There are enough ills in the current system of marriage; that we should not look too eagerly into what goes on behind closed doors, as many are already trapped in loveless unions, with no respite from their church or society. To allow unions of consenting couples, who are willingly seeking a state of harmony; will reduce the ills of society, and stigma and prejudice have no place among equal beings. We have enough unhappiness in the world; and should allow happiness to bud, and take root between two consenting adults. When you have billions on this earth; we should encourage different lifestyles, as in the end the creativity that is spawned by intellectual and physical interaction, can only lead to betterment for us all. Life choices are hard enough in this modern world; and we do not need to force outdated ideas, on a new world. Let the buds bloom I say; and then we can all enjoy the beauty of the flowers, which will surely rise from the happiness of these equal people, so long denied, at such a high moral cost. 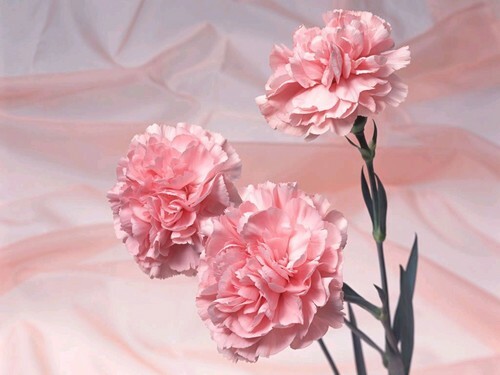 Celebrating the beauty of the Pink Carnations does not make one a lesser person; but not doing so will be a true travesty, showing bigotry and petty meanness towards our fellow humans.